Discover an alternative to crutches for injuries below the knee. The knee bop walker is an innovative product designed to be an alternative to crutches for injuries below the knee. It helps to reduce pressure on the hands and arms associated with using traditional crutches. The user simply places the knee of the injured leg on the knee pad, then rests the ankle on the rear support and propels the Knee Walker about with the able leg. Please note this knee walker is not steerable. 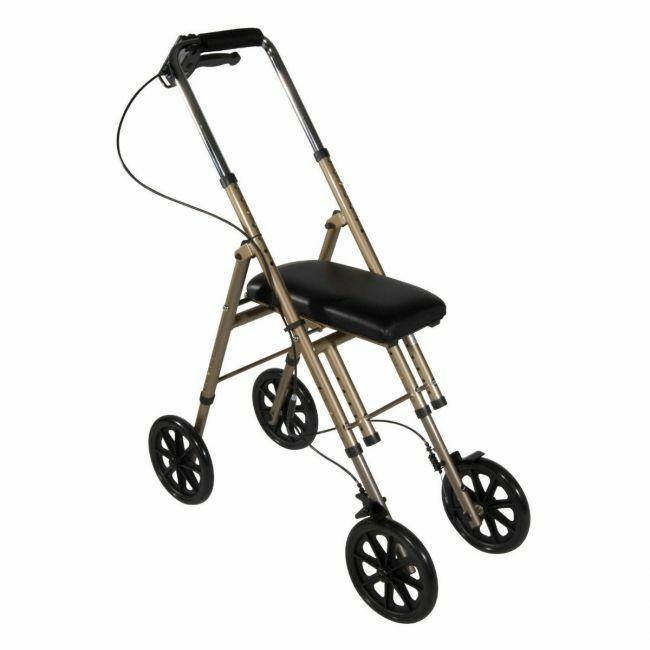 If you would like a knee walker that steers we would recommend the Elite Care Steerable Knee Walker.